How my 6 months in Paris turned into 6 years. A French education is no walk in the park! As a young woman, back in the eighties, I moved to France to become an Au Pair (or nanny). 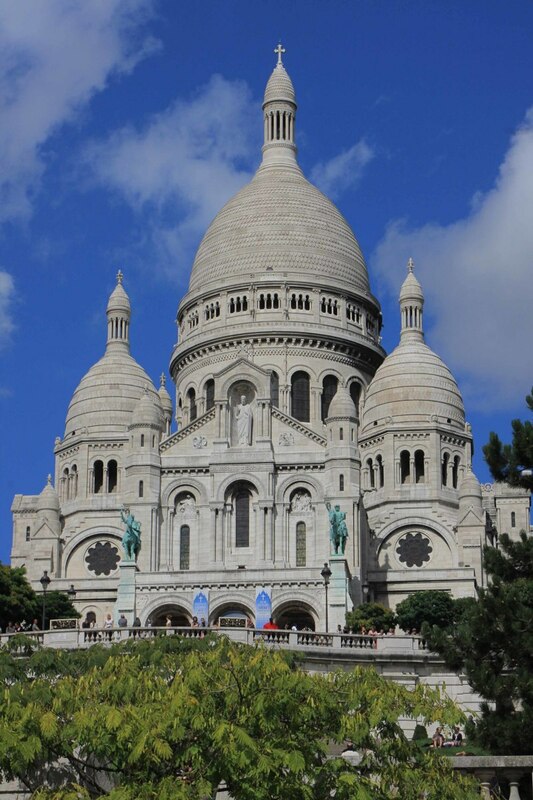 I didn't really want to be an Au Pair but, it was an excellent way of seeing another country and it got me to one of the most exciting places on earth--Paris, France. Life in England seemed suffocatingly humdrum, basically as it was all I knew. Others around me settled into the life of marrying boyfriends called Gerald, launching careers and putting deposits on homes. That wasn't for me. How dull! I wanted to see the world. Initially, I had wanted to fly off as far away as possible, to Australia, but my Dad persuaded me to try somewhere closer first just in case I didn't like it. So, France it was! "The title comes from the French term au pair , meaning "on a par" or "equal to", indicating that the relationship is intended to be one of equals: the Au pair is intended to become a member of the family, albeit a temporary one, rather than a traditional domestic worker." Hmm, would that had been true in my case. The family I was working for (an English one I'm sad to report) treated me with a very barely concealed distaste at having to share their home with me, yet were quite happy to entrust the care of their 3 small children to a total stranger. The two eldest were good kids and I particularly bonded with the eldest, but the youngest was troubled, and screamed most of the time. At only 2 1/2 he was probably wondering who this stranger was taking him to school. Unfortunately, my family also turned out to be dishonest. They made a pretense of hiring me for 6 months but after 6 weeks their English nanny, who had been unavailable those first 6 weeks, suddenly showed up on the doorstep. Guess who was now the "5th wheel?" They made it more awkward by trying to justify their behavior by passing the blame to me. One of my more egregious crimes apparently had been to leave pink fluff on their towel when I washed a sweater and left it to dry on said towel. Whew, serious stuff. Shortly after breaking the news to me that I was no longer needed in their household, the father bundled me with my belongings into the elevator and mumbled a curt goodbye. Mother never appeared. There was a happy ending but I guess I am including this side story as a warning to any young people out there thinking of becoming an Au pair. Make sure you vet your family thoroughly and have a back up plan should things go awry. Despite this inauspicious start to my great Parisian adventure, I desperately wanted to stay in Paris. To go home after only 6 short weeks would have felt like a failure. What would I tell all my friends who I had said goodbye to so recently! Through a stroke of luck, and some help from my parents, I found another family who needed a pair of helping hands around the house and so began a relationship that lasted for years. I am still in touch with the kids of the family who are now grown with families of their own! I now had free time to study French, first at the Alliance Française on Boulevard Raspail, then at the University of the Sorbonne, on the Left bank. I am still a bit embarrassed to remember how, even after 8 years of French study in the UK, I barely squeaked into one of the the lower classes at the Alliance Française! 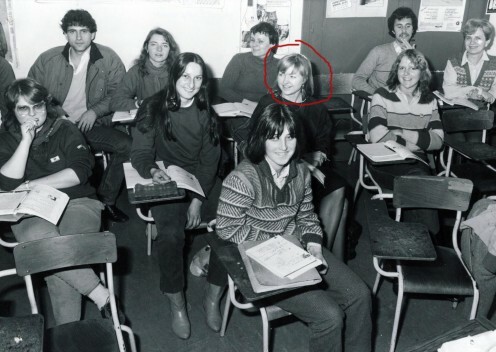 Me, the girl who was in the top French class at school (albeit hiding at the back to avoid being called on!) 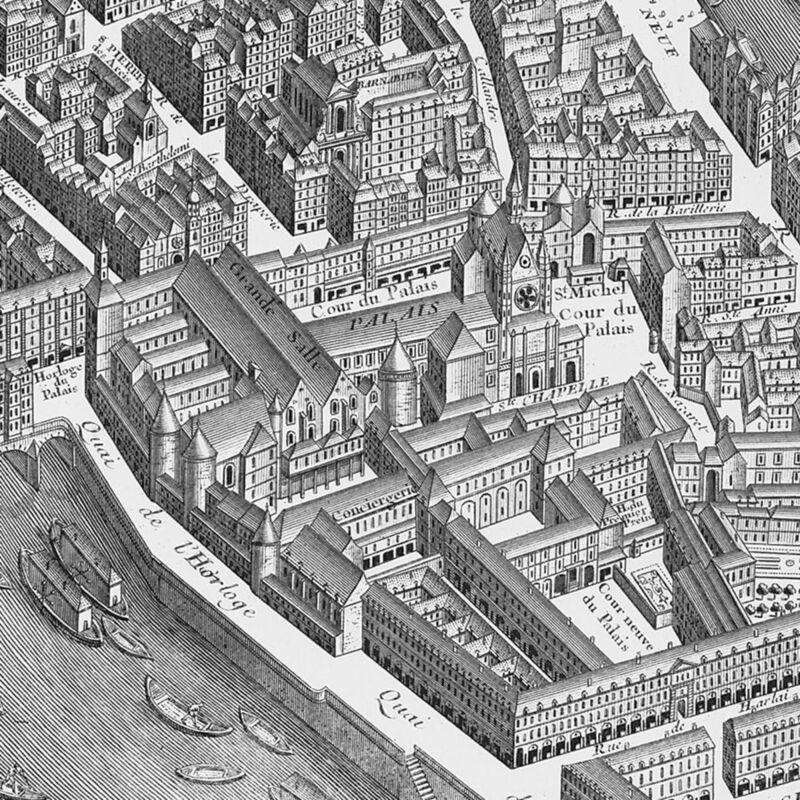 The Sorbonne class (Les Cours de Civilisation Française) was located at a satellite campus of the great university, in a small classroom, down a little cobblestone cul-de-sac (literal translation: bottom of the bag!) called Rue des Ecossais (Road of the Scots), slap bang in the middle of the old Latin Quarter. I could almost smell the hay bales the students of the Middle Ages would sit upon in the streets, while listening to their professors. By now, my French was becoming pretty darned good. The subjunctive was no longer a mystery and I enjoyed casually slipping "quand meme" into conversations, with a slightly bored look on my face. Very Parisian! So ended year one. What was next? Go home and find myself a Gerald? Nope, not for me. I was just getting started! I did some research and found out about a type of degree called a B.T. S. or Brevet de Technicien Superieur. It was classified as "le "Bac + 2," meaning 2 years of study after the Baccalaureat exam at high school. As I had always been interested in travel, working with people, and languages, I chose the B.T.S. 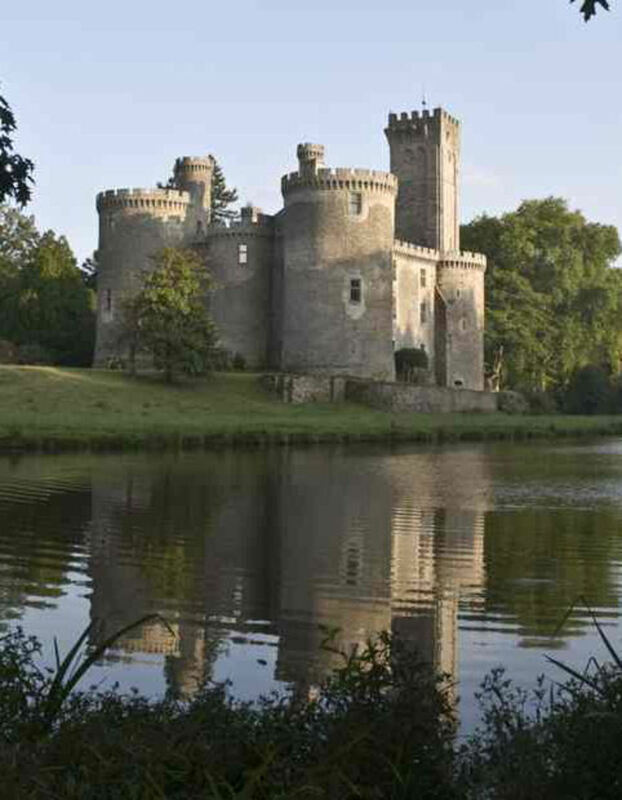 de Tourisme, with the specialty of becoming a National Interpreter Guide of France. Fortunately, my Dad was on board for funding my venture as he saw these as my college years. Yey Dad! Now, this particular B.T.S. was no small beans. In France, tourism is taken very seriously and the education to go with it. At that time, it was the second most important industry in the country. 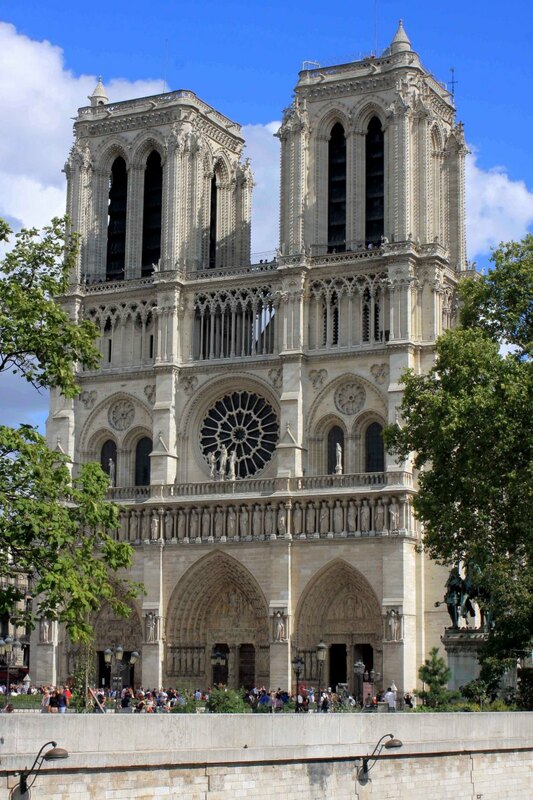 The course involved a 2-year, 40-hour a week, intensive study of French art, art history, history, geography, economics, finance, marketing, and 2 foreign languages. Lucky for me, I already spoke fluent English! But not so lucky, all my classes were in French, including Spanish! What? Yes, turns out it was actually easier learning Spanish from French than from English and I was soon Habla-ing with the best of them. I even went to stay with a Spanish family in Madrid for a month in the middle of my B.T.S. It's amazing how much you pick up when the family you're staying with doesn't speak a lick of English! Despite my burgeoning grasp of the French language, I found myself needing to record every class and then play it back each night in order to catch all the technical words and phrases and until I could put it all together in an intelligible way. To say it was stressful and difficult would be an understatement. It still remains the hardest course of study I have ever undertaken, harder than the BA French degree I later obtained in the US. Sometimes I wondered what on earth I was doing there. How could I succeed alongside all these fluent French speakers? I remember literally making up words when I could not think of the term! The professors were tough as nails and completely unforgiving. It seemed to us that some of them delighted in humiliating us when we made idiotic statements in our class papers. Our professor of art history, for example, an indomitable woman of 5 ft nothing, seemed to me always ready to rip into our "soft underbellies," with her talons, would whip out a notebook of "idiocies" her students had come up with over the years. She enjoyed reading them out from time to time. When my particular idiocy was related with some relish to the class, I became rooted to the spot with embarrassment as those around me guffawed nervously! However, determination is my middle name and I buckled down, not without some intent to prove the professors wrong, and often amazed myself and my professors by rising to the challenge. Once, I even came top of my class in French and the professor looked around the room, fixing the class with his "stink eye" and boomed, "How come one of the only two non-french speakers in the class managed to beat you all in this essay writing assignment?" I felt the stabbing glances of my classmates. Success comes at a price! Sigh. Another very challenging class was Itineraries. Sounds like a nice happy little word doesn't it? However, the mention of Itineraries would strike fear into the hearts of the most robust of students. I remember thinking the teacher was a fairly nice looking person until I slipped on my glasses and she suddenly jumped sharply into focus. The deeply wrinkled brow gave away a lifetime of scowling at students. She became so incensed with our failure to grasp simple facts that she instigated something entirely new--instead of scoring our papers out of 20, she added a whole new section of negative marks out of 20. I believe one of my fellow students hit the all time low of negative 19! Well, I don't like bullies, which is how I perceived her, so I dug in my heels, pulled out the stops and managed a whopping 11 out of 20 on one assignment, which, wouldn't you know it, ended up being the top grade again. It seemed however that she took it as an affront that not only was I a foreigner, but British to boot! I could smell Joan of Arc simmering on the bonfire in the background. During one lecture, while fixing me with her eagle eye, she entered into a diatribe of how Americans would today be speaking French if it hadn't been for "les interfering Anglais!" Seems the 100-year war is still alive and kicking! The only class that was a breeze was English. My classmates would poke me and hiss "Did she say that right?" "Didn't she make a mistake there?" "Her accent's off isn't it?" After about three weeks of this, the English professor, a nervous, twittering woman, asked if I'd like to be excused from the class. I think she relaxed after that and, hey, I got free time! She did make an interesting observation about me though. She had noticed that I was starting to speak English like a French person, kind of clumsy and with a heavy accent. Definitely time to head for the door! At the time, I felt no great love for these professors but what I ended up realizing, down the road, was that in actual fact they were at the very top of their game in their profession and honestly wanted the same for us. They waded through droves of humanity every day, class after class, year after year, in search of just a few good people who would uphold the great tradition of the Guide National de France. The license was considered prestigious and, once attained, was yours for life. It was a badge to be worn with pride as you guided your group around the chateau of Versailles, Fontainebleau, Vaux-le-Vicomte, or one of the myriad other monuments of France. So, did I succeed? Well, as I went into the exam period at the end of the second year, it was with the knowledge that the average national pass rate for the B.T.S. de Tourisme was 7%. Not particularly promising odds. They obviously didn't want to flood the market with new guides! There were two rounds of comprehensive exams, meaning you were tested on everything from the two years at one time. There were no "classes" each semester which you'd pass and stash under your belt and then move on. The first round of exams were subjects carrying a high coefficient. The grades were calculated using these coefficients and then averaged and if your result was 12 out of 20 or above, you had your B.T.S. in one! If you got anything less than 12 out of 20, you went through to the next round of exams. If you failed that round, you had failed your B.T.S., unless you chose to come back for another year of punishment and and take the exams one more time. You were still not guaranteed a good result! On day one of the first round of exams, candidates from all over the country assembled at an enormous building south of Paris. One of the first round of exams included the grueling Visites de Villes (Visits of Towns), which included a written and an oral exam. Using ordnance survey maps, and drawing on our, hopefully, in-depth knowledge of all subjects garnered over the two years, we were to extrapolate facts and become an immediate expert on the geography, history, art, culture, industry, economics, food, wine, etc of the area that had been chosen for us. I was very relieved when I saw that I had been given the town of Troyes as I had studied it in some depth. As I sat down in front of my 3-person panel for the oral exam, I became aware of a familiar shape out the corner of my eye at the next table. Oh, great! it was my professor of art history of all people, judging another candidate! Trying but failing miserably to forget she was sitting there and could hear most of what I was saying, idiocies and all, I launched into my presentation in French, much to the surprise of the one Englishman on the panel. He thought I'd choose English over French any day. What he didn't realize was that I knew all the technical architectural terms better in French than in English! My "crowning" moment (if I say so myself) came when I proclaimed firmly that Henry V of England took advantage of the rather mad Charles VI of France and had him sign the "Shameful Treaty of Troyes" which basically signed France over to the crown of England, leaving the Dauphin, Charles VII, angry and destitute. He was the monarch under whom Joan of Arc eventually "defeated" the English. That's a whole other story! The Englishman on the panel gave a short snort of derision (the English see this period in history from a slightly different perspective!) while I darted a look at my professor who gave me the faintest nod and smile of approval. I wanted to shout out, "I am French, hear me roar!" Hey, ya do what you gotta do, right? I just hoped I hadn't annoyed the Brit as he was the one giving me the grade! Turns out I received a 19 out of 20 for the written/oral exam combo, which was an enormous relief. Along with many hours more of written and oral exams, I managed to gain an overall average of 12 out of 20 which meant I had succeeded the B.T.S. at the first round of exams. I was ecstatic and could not believe it was finally over. Only one other person got through the first round with me, which meant all the rest had to submit to another brain pounding round of exams. Only 5 of them were to succeed. Net success overall was 7 out of about 44 getting the B.T.S. For the rest it was over. Something that really sticks in my mind was when I was over at a friend's house waiting for the B.T.S. results. We were extremely tense when finally the results came through on the Minitel, the first "internet" of sorts. We found out I had passed and my friend had to go through to the second round, but happily she succeeded. That day, my friend blurted out, "Hey let's call up our art history professor and tell her how we did!" I looked at her with horror as I still didn't see that woman as human. But my friend went ahead and dialed her number and when I spoke to her, the first thing she said to me was "Congratulations, dear colleague!" I was stunned. Suddenly, the whole thing made sense! French course at Alliance Francaise. Fantastic view from the apartment where I was an Au pair and a familiar view of Notre Dame cathedral. 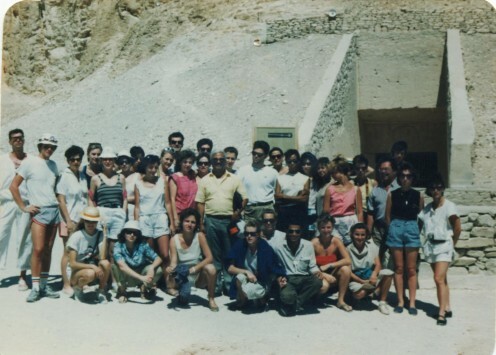 With my class on a study trip to Egypt during the B.T.S. de Tourisme. I'm at far left in the front! 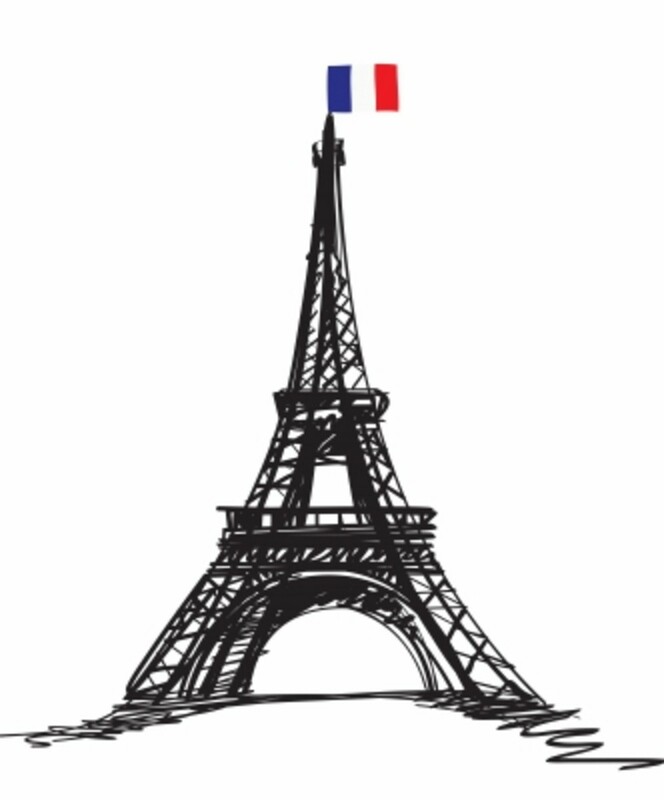 Since 1919, our school has offered foreigners French courses at all levels, from complete beginner to professor of French as a foreign language (FLE). What Thomas Jefferson did in Paris and where. Interactive map of sites Jefferson visited when he traveled in France. Lol robie2! I love your avatar though. 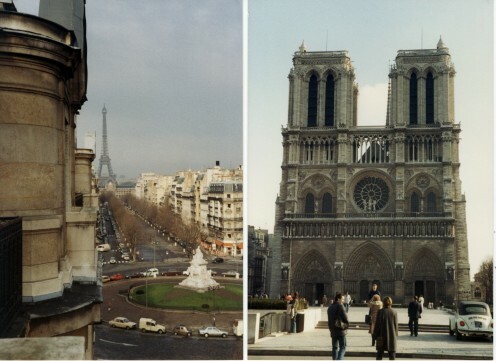 I guess Paris has undergone a few changes over the years, but overall, it's still the wonderful city I came of age in. I remember being awarded my certificate in the main Sorbonne hall. A true moment of awe! Thanks Media Magnate Mom! Boy, I'm really looking forward to reading all your hubs too. What a wonderful community! Take care! Ahhhh Pam-- that avatar I use is a lot younger than I am. I was a student in Paris in the early '60's at the age of 19. We are at least a generation apart, which only makes the shared experience all the sweeter. In my day the cours de etc. was held in a huge lecture hall in The Sorbonne(rue des ecoles) and we were all crammed in so tight you couldn't find a seat and had to sit on the steps or stand. 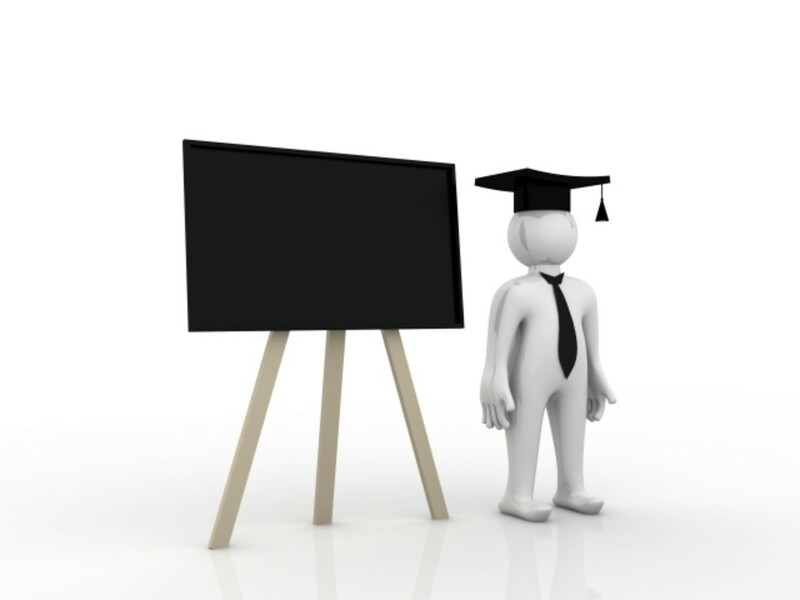 There were a number of professors who simply lectured. Some were easier to hear and understand than others. Each handled a different aspect of French culture( language, literature, geography, history etc.) It was a long time ago, so I have forgotten much of the academic details. What lives on is the memory of the people I men and of the city that is still one of my favorite places in the world. What a great story of passion, perseverance and resourcefulness! What a great example of following your dreams and making it work. Kudos to you! Awesome and voted up. I loved this and it really took me back. I too went off to Paris as a young girl and took the " Cours de Civilisation Francaise a La Sorbonne" back in the stone age.